On May 31st, music fans will have their first taste of re-issues from rock icon OZZY OSBOURNE’s catalog of work, with the releases of two albums which form the cornerstone of Ozzy Osbourne's career as a solo artist: Blizzard Of Ozz and Diary Of A Madman (Epic Records/Legacy Recordings). Long revered by rock fans around the world, these two albums created a template for hard rock in the 1980's and beyond as they were marked by the ground-breaking and historic union of Ozzy and the late guitar hero Randy Rhoads. These definitive versions of 1980's Blizzard Of Ozz (with previously unreleased bonus tracks) and 1981's Diary Of A Madman are available individually on vinyl or CD, or together in a deluxe collector's box. All versions were restored and remastered from the original analog sources by George Marino. 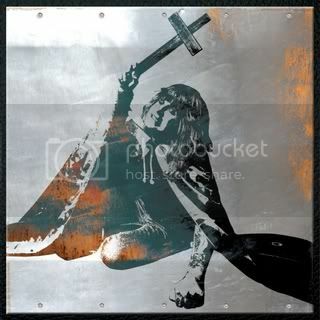 The 30th Anniversary Edition of Blizzard Of Ozz CD includes the original album in its entirety, restored and remastered for this edition, with bonus tracks, while the new Legacy Edition of Diary Of A Madman includes the original album in its entirety, restored and remastered for this edition, with a bonus second CD of previously unreleased live performances featuring Ozzy Osbourne and Randy Rhoads with rhythm section Rudy Sarzo (bass) and Tommy Aldridge (drums). A single disc version of the remastered Diary Of A Madman will also be available. For serious fans and collectors, the limited edition 30th Anniversary deluxe boxed set houses the restored and remastered vinyl and CD editions of Blizzard Of Ozz and Diary Of A Madman, the Ozzy Live compact disc. 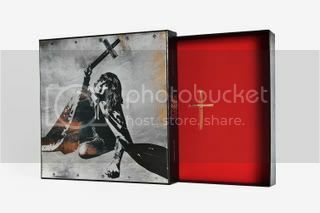 Beyond the music, the box set is highlighted by a variety of exclusives including an expansive 100-page coffee table book, a two-sided wall-size poster, a precise and detailed full-size replica of Ozzy's iconic gold cross that he has worn for 30 years, and Thirty Years After The Blizzard DVD. This new Thirty Years After The Blizzard DVD chronicles Ozzy's years with Randy Rhoads features previously unseen footage of Ozzy and Randy filmed in 1981 & 1982; it incorporates rare archival photos and films; along with new and revelatory interviews with Ozzy and Sharon Osbourne, Lemmy (MOTÖRHEAD), STEVE VAI, NIKKI SIXX, ROB HALFORD, ZAKK WYLDE, BLACK SABBATH's Bill Ward and more. The DVD also contains over 70 minutes of additional rare live performances and interviews; included is the premiere of more than 30 minutes of newly-discovered never-bootlegged footage of Ozzy and Randy from the Blizzard Of Ozz tour shot from the front of the stage at New York's fabled Palladium on May 2nd, 1981. This new feature is a must-see for aficionados of Ozzy's epic release, Blizzard of Ozz and its pivotal effect on rock & roll history. DVD contains Thirty Years After The Blizzard documentary and additional rare and unreleased performances and interviews.